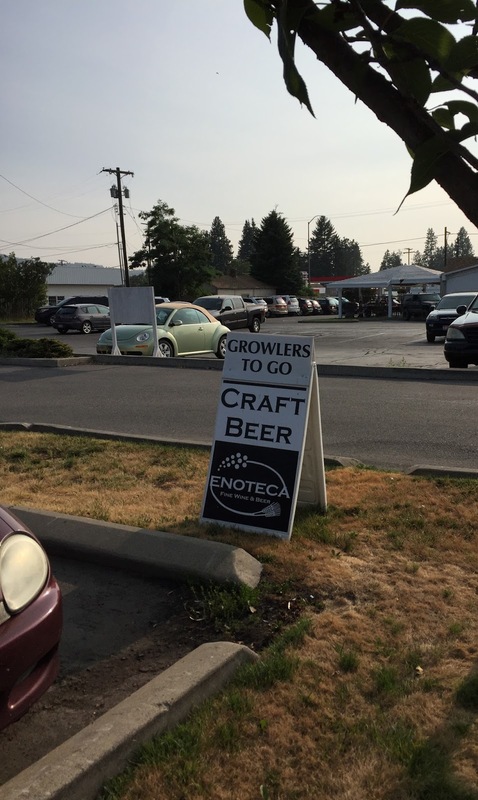 One of the Inland Northwest's favorite beer & wine shops will see some changes in the next few weeks / months. But, in the end Enoteca , which is currently located at 112 E. Seltice Way, Suite C will still remain much of the same. With a focus craft beer's, fine wine and cocktails. Enoteca, was recently purchased by new owners " John & Ann " who have been regulars at the business since it opened and decided to take over and improve the business. John & Ann will relocate to store and bar over the next couple of months to a new location just around the corner from the Seltice Way store. The new Enoteca will be located at 702 N. Spokane St., Post Falls in the building the formerly housed Designer 1 Hair Fashions and a small Laundromat. Both of those business have now gone out of business allowing Enoteca to use the entire building, which is more visible with a better parking situation. The business formerly had to compete for parking with neighbor's Domino's Pizza and White House Grill. There is no official opening date for the new Enoteca just yet but they plan to be moving merchandise,etc... over to the new building this month. Leading to believe they will open within the next few weeks. Enoteca is a unique business with both a retail beer and wine shop and full bar, both under one roof. The retail shop stocks many harder to find beers and wines and the bar has beer, wine, sprits and tastings. Enoteca's bar , called Enoteca Drinkery & Refuge has 11 beers on tap, many wines, a list of upscale bourbon & scotch and hand crafted cocktails. Customers of the Drinkery & Refuge side are also able to eat at the business. While Enoteca does not have a food menu, they are " food friendly " and welcome ordering from any one of the five restaurants that are in the immediate vicinity.